A judge ordered federal emergency officials to extend vouchers for temporary hotel housing for nearly 1,700 Puerto Rican hurricane evacuees, saying ending the program could cause irreparable harm. Saturday night's decision came shortly after civil rights group LatinoJustice PRLDEF filed a lawsuit seeking relief for the Puerto Ricans, whose federal housing assistance vouchers were set to expire at midnight Sunday, meaning the evacuees could have been evicted from the hotels. The order says the agency cannot end its Transitional Sheltering Assistance program until at least midnight on Tuesday. The organization is pushing to let families stay another six months. U.S. District Judge Leo Sorokin of Massachusetts wrote that ending the program would drain other public resources. He also said the evidence showed problems with the Federal Emergency Management Agency's efforts to notify and provide transitional help for the hurricane refugees. 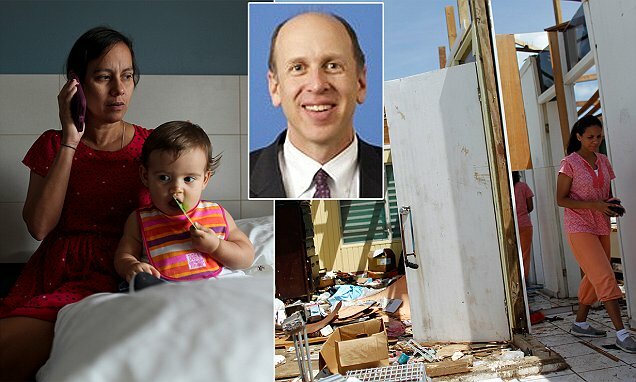 'The irreparable harm to the plaintiffs is obvious and overwhelming; tomorrow morning they will be evicted and homeless since by definition each plaintiff's home was rendered uninhabitable by the hurricane in Puerto Rico,' he wrote. Eight plaintiffs filed a class action alleging unlawful action by FEMA in Massachusetts, which has the highest number of evacuee families seeking federal help after Florida and Puerto Rico. Many of the plaintiffs tell stories of wiped out residences on the island, and ongoing medical conditions. Forty-eight-year-old Denise Nieves resides in a hotel under the TSA program in West Springfield, Massachusetts, with her son. Her home in Toa Baja, Puerto Rico was flooded and is uninhabitable. Her son suffers from neurological dysfunctions while she has pulmonary hypertension. She has not been able to find permanent housing. The complaint says 'they will be left homeless' in the event of eviction from the hotel. AT THE CROSS﻿ Up on the cross is where Jesus overcame. I have a victorious life, but I will remain at the foot of the cross.